In the video above about Traditional Marketing Vs digital Marketing I talk about 3 main differences. 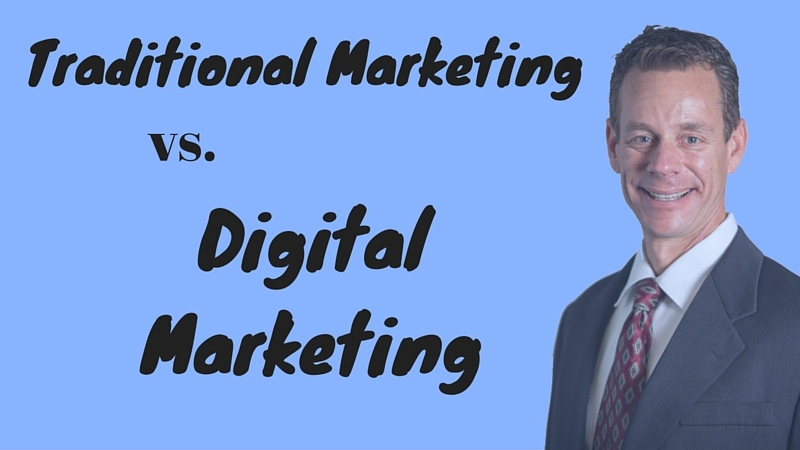 I will go over each one in this blog post so you have them and can know the differences between Traditional Marketing Vs digital Marketing. TIP: If you want to learn how to do digital marketing with Facebook then check out my Facebook marketing training here. Level Playing Field – In Traditional marketing it can be very expensive to get your store front to look as good as a large corporation’s like Best Buy. Just to put a good store front with all the signage and fixtures can cost you millions of dollars. When you do your marketing online however it is fairly easy to make a website that looks as good as Best Buy. Digital marketing makes it much easier to level the playing field by not having to create expensive brick and mortar stores that cost millions of dollars. Simply hiring a great graphics designer can make you appear a lot larger than you actually are. Low Cost To Entry – Traditional Marketing can be expensive. Even a simple radio ad in a medium sized city can cost thousands of dollars. Digital marketing can be started with just a few dollars (literally you can start with $5 on Facebook or Google ads). With Digital marketing you can test your ideas for almost no money. 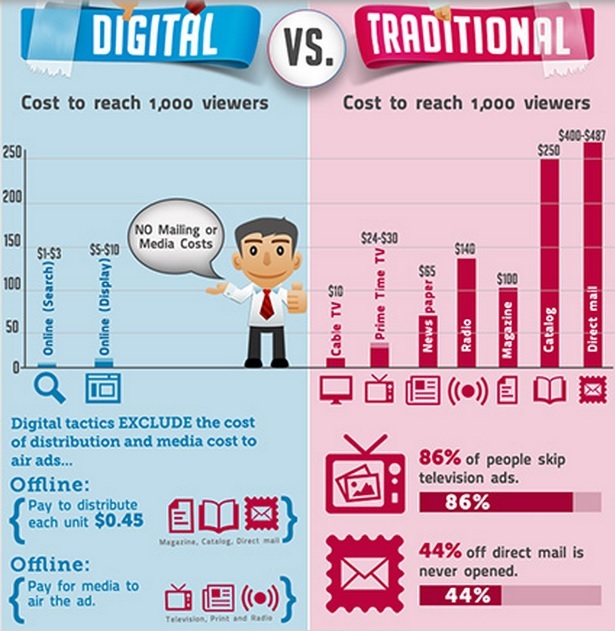 When it comes to Traditional Marketing Vs digital Marketing I would say digital marketing wins hands down. 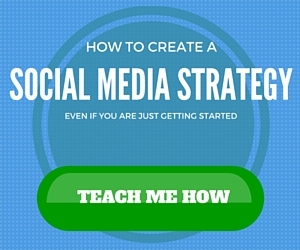 Digital marketing is cheaper to get started with. Simple to Measure – Digital marketing as another advantage over traditional marketing. You can measure digital marketing much easier than traditional marketing. Take out a Facebook Ad and they will show you how many people saw your ad. They will tell you how many people clicked on your ad. You can even see first hand how effective your ad was. Same with Google Ads. A radio ad not so much. I mean with a radio ad how do you even know how many people even heard it? You don’t! Traditional marketing is much harder to measure. After looking the differences between Traditional Marketing Vs digital Marketing it should be obvious that digital marketing has a lot of advantages. That is why so much money is moving away from traditional marketing to digital marketing. I also only see these trends continuing. More and more people are spending more of their lives online. Think about the advantages I just listed. Start using digital marketing for your business today.